Call TODAY for this special combo price! 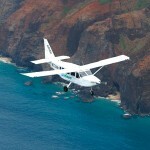 Our most popular Kauai air tour encompasses the entire island. Enjoy views of Menehune Fish Pond, the Tunnel of Trees, Captain Cook’s Landing, Waimea Canyon, the Napali Coastline, Lumahai Beach, Hanalei Valley, Kilauea Lighthouse, numerous cascading waterfalls, and miles of beautiful coastline and beaches. Unlike helicopter tours, AirVenture’s eco-friendly, six-passenger planes with extra-large viewing windows fly slow, smooth and stable with lots of time over Kauai’s landmarks. Each seat is a window seat so you can take in the amazing views and get those great shots creating memories that will last a lifetime. Routes and flight patterns subject to change due to weather conditions. Children over 24 months require full-fare seat. 48 hr. cancellation required. Board a spacious, open-air river boat for a two-mile leisurely journey to the Fern Grotto. At the landing, you’ll enjoy a short nature walk through the rain forest to the lush Fern Grotto. The Fern Grotto is a geological wonder of Kauai where ferns grow upside down from the roof of the grotto. A natural amphitheater of lava rock and tropical vegetation creates the perfect backdrop as you are serenaded and entertained by Hawaiian musicians and hula dancers. The Wailua River is Hawaii’s only navigable river and is also a popular place for water skiing, stand-up paddling and kayaking. We’ll explore Kauai’s east shore beaches, mountains, waterfalls and heiau on this photo-friendly van tour. After touring the East Side, you’ll visit the Kilauea Lighthouse and Wildlife Refuge — a great place to watch for dolphins, sea-faring birds and Hawaii’s winter visitors: Humpback whales. 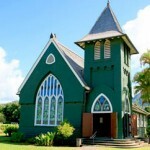 Your tour also includes stops and views of the Sleeping Giant, Hanalei Bay, Hanalei taro fields, Anini Beach and many other Kauai landmarks. Check-in time: 8:30 a.m. – 9:15 a.m.
Departure time varies by resort location. *This special offer is only available by calling the phone number above and cannot be combined with any other special offer, coupon, or discount. Price subject to change without notice. Total price is $289 plus $10.00 fuel surcharge (paid to AirVentures upon check-in).